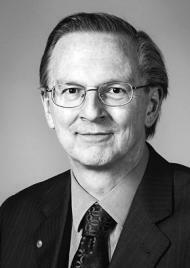 Philip John Baker was born in Brondesbury Park, London. He was the sixth of seven children of his Canadian-born Quaker father, Joseph Allen Baker and Scottish-born mother, Elizabeth Balmer Moscrip. His father had moved to England in 1876 to set up a manufacturing business and himself served as a Progressive Party member of the London County Council from 1895 to 1906 and as Liberal Party member of the House of Commons for East Finsbury from 1905 to 1918. He was educated at Bootham School and then in the US at the Quaker-associated Haverford College in Pennsylvania. He studied at King's College, Cambridge from 1908 to 1912. As well as being an excellent student, obtaining a second in Part I history and a first in Part II economics, he was President of the Cambridge Union Society in 1912 and President of the Cambridge University Athletic Club from 1910 to 1912. He competed in the Olympic Games before and after the First World War. He ran for Great Britain in the 800 metres and 1500 meters at the 1912 Olympic Games in Stockholm, reaching the final of the 1500 metres, won by his fellow countryman Arnold Jackson. He was captain of the British track team for the 1920 Summer Olympics in Antwerp and carried the flag. He won his first race in the 800 metres but then concentrated on the 1500 meters, winning the silver medal behind team-mate Albert Hill. He was captain again for the 1924 Summer Olympics in Paris, but did not compete. During World War I, he organised and led the Friends' Ambulance Unit attached to the fighting front in France (1914–1915), and was then, as a conscientious objector from 1916, adjutant of the First British Ambulance Unit for Italy (1915–1918), for which he received military medals from the UK, France and Italy. After the war, Noel-Baker was heavily involved in the formation of the League of Nations, serving as assistant to Lord Robert Cecil, then assistant to Sir Eric Drummond, the league's first secretary-general. He was also an academic early in his career. He was appointed vice-principal of Ruskin College, Oxford in 1914, and elected a fellow at King's College, Cambridge in 1915. He was the first Sir Ernest Cassel Professor of International Relations at the University of London from 1924 to 1929 and a lecturer at Yale University from 1933 to 1934. His political career with the Labour Party began in 1924 when he stood, unsuccessfully, for Parliament in the Conservative safe seat of Birmingham Handsworth. He was elected as the member for Coventry in 1929, and served as parliamentary private secretary to the Foreign Secretary Arthur Henderson. He lost his seat in 1931, but remained Baker's assistant while Baker was president of the World Disarmament Conference in Geneva in 1932 to 1933. Noel-Baker stood for Parliament again in Coventry in 1935, unsuccessfully, but won a by-election in Derby in July 1936 after the sitting Member of Parliament J. H. Thomas resigned; when that seat was divided in 1950, he transferred to Derby South and continued until 1970. Noel-Baker became a member of the Labour Party's National Executive Committee in 1937. In the coalition government during the World War II he was a parliamentary secretary at the Ministry of War Transport from February 1942, and served as Minister of State for Foreign Affairs after Labour's victory in the 1945 general election, but had a poor relationship with the Foreign Secretary, Ernest Bevin. Noel-Baker moved to become Secretary of State for Air in October 1946, and then became Secretary of State for Commonwealth Relations in 1947 and joined the cabinet. He was the minister responsible for organising the 1948 Olympic Games in London. He moved to the Ministry of Fuel and Power in 1950. In the mid-1940s, Noel-Baker served on the British delegation to what became the United Nations, helping to draft its charter and other rules for operation as a British delegate. He was also prominent within Labour, serving as Chairman of the Labour Party in 1946-7, but lost his place on the National Executive Committee in 1948 and his place was taken by Michael Foot. He opposed left-wing Bevanite policies in the 1950s. He declined appointment as a Companion of Honour in the 1965 New Year Honours. He received the Nobel Peace Prize in 1959. He supported multilateral nuclear disarmament, and opposed a policy of unilateral disarmament. In 1977, he was also made a life peer as Baron Noel-Baker, of the City of Derby, and was an active supporter of disarmament into the 1980s. He was president of the International Council of Sport Science and Physical Education from 1960 to 1976. In June 1915 Philip Baker married Irene Noel, a field hospital nurse in East Grinstead, subsequently adopting the hyphenated name Noel-Baker. His wife was a friend of Virginia Woolf. 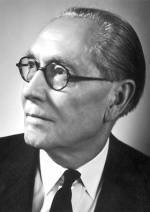 Their only son, Francis Noel-Baker, also became a Labour MP and served together with his father in the Commons. Their marriage, however was not a success and Philip Noel-Baker's mistress from 1936 was Lady Megan Lloyd George, daughter of the former Liberal Party leader David Lloyd George, herself a Liberal and later Labour MP. The affair ended with Irene's death in 1956. Following Noel-Baker's death in Westminster at the age of 92, he was buried alongside his wife in Heyshott, West Sussex.